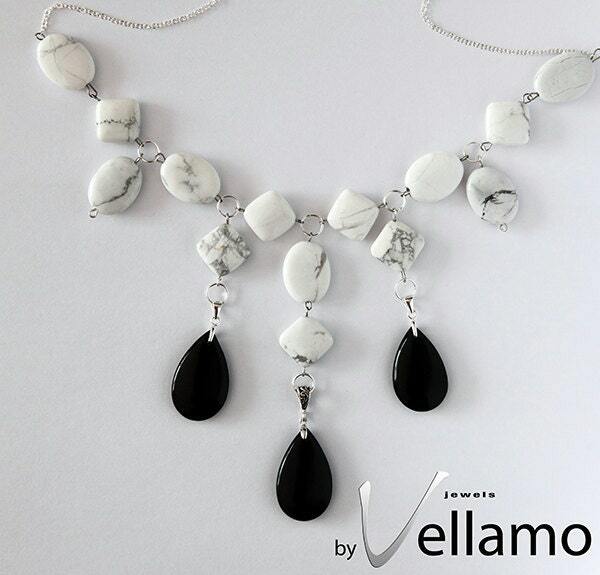 Beautiful large bib style necklace, in black and white stones. The stones are howlite, oval and square and all the components are sterling silver. It has three hanging teardrop shaped onyx gemstones. Size: the total length of the necklace is 47cm. The oval howlite stones are 20mm x 15mm and the square ones are 10mm. The onyx teardrops are 30mm x 20mm.